Story:- When Civil War veteran John Carter (Taylor Kitsch) mysteriously awakes on the surface of Mars -- also called Barsoom -- he little expects the adventure that awaits him. 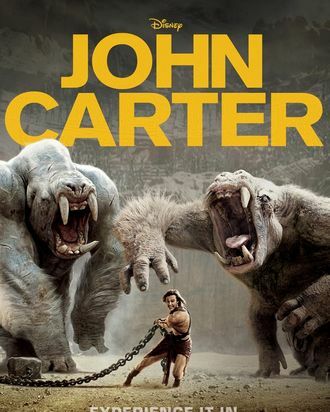 Carter reluctantly becomes embroiled in an epic conflict among the red planet's inhabitants, including Tars Tarkas (Willem Dafoe) and Princess Dejah Thoris (Lynn Collins). As Barsoom is poised on the brink of collapse, war-weary Carter rediscovers his humanity when he realizes that everyone's fate is in his hands.